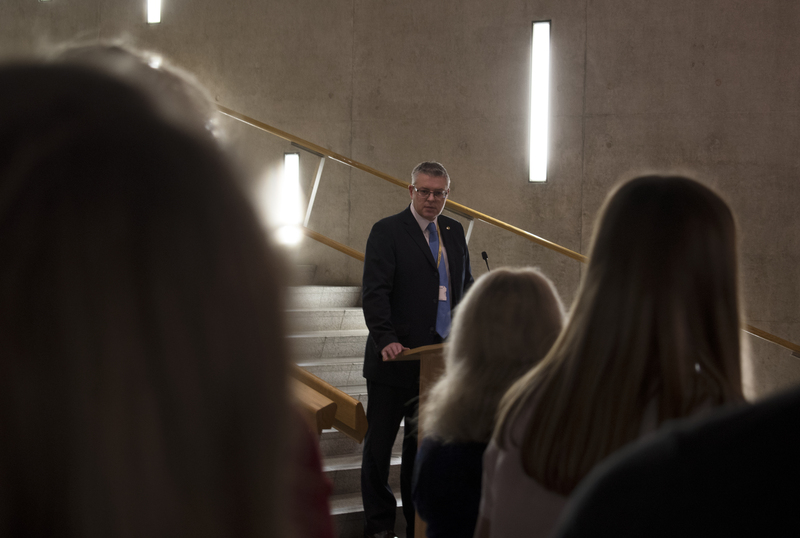 Stuart McMillan MSP for Greenock and Inverclyde hosted Greenock-based youth work charity, Ocean Youth Trust Scotland (OYTS), in the Scottish Parliament on Wednesday evening for an event to celebrate the success of their On Course with Cashback programme. OYTS offer residential sailing voyages to young people aged 12-25 to realise their true potential, and are the only national, voluntary organisation of its kind. Over 700 young people from a diverse range of backgrounds, including 29 from Inverclyde, sail with OYTS every year for five or seven days at a time, which helps boost their confidence, make new friends, and develop new skills. The On Course with Cashback programme involved Cashback for Communities groups embarking on sailing voyages, and in 2018 included pupils from Inverclyde Academy and young people from Port Glasgow I-Zone. “As an OYTS Ambassador, it was a pleasure and privilege to invite the charity, its partners and some of the young people involved in their programmes to the Scottish Parliament to showcase the wonderful work OYTS does. “Whenever I talk to a young person who has been on one of the voyages, they speak so highly of OYTS staff and volunteers, and tell me it’s made a positive impact on them. “OYTS are very proud to be a charity partner of the Scottish Government’s CashBack for Communities Programme. Through this partnership our volunteers and staff are able to support hundreds of Scotland’s most disadvantaged young people to broaden their horizons, discover hidden strengths, gain new skills and qualifications, and perhaps most important of all, to build their confidence and aspirations for the future.